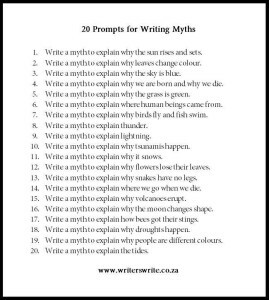 Check out this chart on Writing Myths. Substitute the word “song” for the word “myth” and use this for a songwriting challenge with yourself or your musical friends. It’s great to have ideas to spark your creativity~ are you up for the challenge? How do you spark your creativity? Writing a song is a form of storytelling and to write a compelling story, a lot of elements have to come together. Language skills matter, both musically and lyrically. Learning new words and ideas is crucial to expanding one’s language skills. That includes the language of music, which should be improvisable as part of its innate language functions. If you can play off the page but cannot create music freely without it, you have a serious shortcoming. Creativity is an amazing impulse and leads to expression, catharsis and some groovy jams. The Key of One can help you learn to speak music and start the journey of a musical life. Are you ready? Let’s do it! Make your music and be the voice you were born to be. Copy and imitate to learn but keep yourself open and fluid so your own style can emerge. The butterfly awaits! 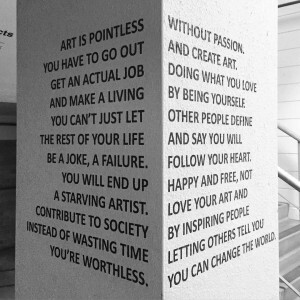 Doing what you love makes life more enriching and making music and art is a crucial pursuit. Whether you write a hit song or just want to express yourself at home, your dream of being musical is valid and your path is awaiting you, should you choose to embark on it. As always, The Key of One is here to help get you the solid foundation on which to build a life of music. Isn’t it time you unlocked the music within you and connected with your instrument? Very interesting study! Did you know that each hand is controlled by a different side of the brain? 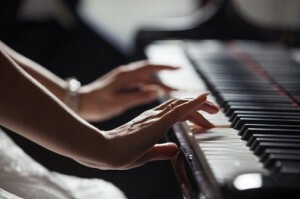 By playing piano, you connect the halves of your brain in a more meaningful way than just about any other instrument. Music changes the brain and all for the better~ are you ready to get more musical and set your brain on a higher course? The Key of One is here to help! 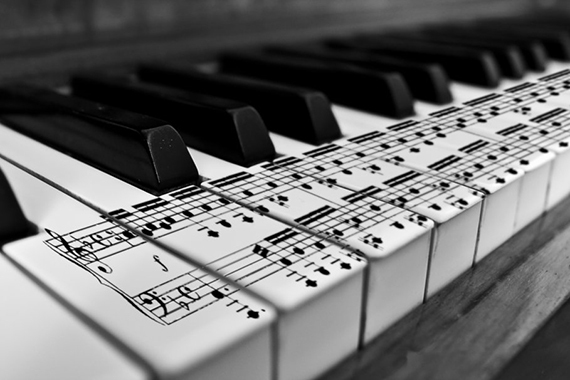 Learn to understand music through the piano and achieve your musical dreams. It’s not as hard as you think it is and it’s truly rewarding to connect with the piano and make music. This was a follow-up to my first Huffington Post piece on music education. I am not against sheet music but I feel that one should have a complete understanding of the basics of triadic music (music made of chords) without it involved. Whether one chooses to learn to read notation or not, you can have a musical life with understanding and context and The Key of One can give you the foundation for all your musical aspirations. I hope you’ll read it and add your thoughts to the conversation. I recently posted a piece on The Huffington Post entitled “Why Is Sheet Music Still Considered Necessary for Music Education?” and it caused quite an uproar from the Conservatory Crowd, who I wasn’t even referring to. The idea that I was even suggesting that notation isn’t right for all students and that it’s not as necessary anymore as an entryway to music (aside from classical/orchestral music, of course) just burned them to the core and much of their comments were mean-spirited, short-sighted and off-base. Funny how they feel so threatened by people just playing music without wanting to ascend to their levels. Perhaps they should accept that everyone has the right to play the music they want to and that many very successful people do not use notation to play music. Notation is still very useful in classical training, though Suzuki has made it easy for anyone to enter without it. But as to triadic music- which is made of chords- it’s not only not necessary but unless one gets supplemental education, it often becomes a way to phonetically reproduce music, not a method by which to actually speak and converse in it. No matter if you learn notation or not, it is my belief that you need a strong connection to music itself as a language, which is how and why I came up with The Key of One. 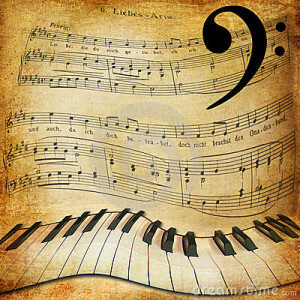 All non-classical music that is made of chords~ rock, pop, reggae, soul, funk, R&B, gospel, blues, metal, Tin Pan Alley standards, etc~ is easily understandable and explainable without notation. In fact, it should be understood without notation first and foremost! If you can play off a page but not play freely, are you really speaking a language? If all you could do was read speeches off the page in order to speak, are you still speaking the English language? Remember that every single spoken conversation you’ve ever had has been improvised. Improvising is what makes a language a spoken skill and is what happens before any language is notated. You must conjure the words in your mind in order to write them down, right? Well music is a language of tones and though there are many ways to notate it (European and Indian Classical music being two of the main ones) the “speaking” of it happens from the brain itself. Ultimately, having an understanding of a language should be paramount to the instruction of the beginning player. In my opinion, primary music education should not involve notation at all. The Key of One can help you discover the musical voice within you and help you understand music, not just regurgitate it off the page! Music as medicine~ imagine that! Anyone who loves music knows the healing power of the right song at the right time~ interesting that research is showing a measurable effect on the human body that helps with pain management. Hope all hospitals and operating rooms allow music for an extra boost of healing power! There is always more to learn about music but I find that strangely enough, the more you learn, the less there is. What’s limitless is what you can do with it once you learn/use it like the language it is. Interested in becoming a true musician? The Key of One will set you on the right path with a solid understanding and foundation. From there, you can take it as far and deep as you want to go. As always, The Key of One is here to help you get your journey started no matter what instrument you play. It just so happens that learning to understand music by piano lessons gives you the best visual understanding of what music is, provided it’s taught well. Everyone should have access to the true knowledge of music, regardless of their desire to read notation i.e. sheet music. 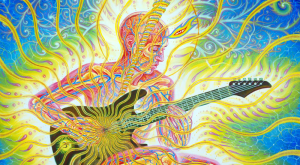 Isn’t it time you freed the music- and the musician- inside you? Patterns. Shapes. The geometric simplicity of the chord matrix on the piano is an infinite fountain of music, once one is familiar with it. And yet, so many are not. It’s so simple in its construction, with a finite number of fixed parts that move by the physics of numbered tones. 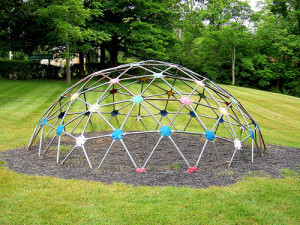 It’s like a jungle gym you can swing on and whose intricacies can be learned and demystified. And yet most people learning music out there aren’t shown this incredibly fundamental information and miss out on most or all of the context behind what they are playing. And it doesn’t have to be that way. By learning to read notation, students are learning a skill to phonetically reproduce what is on the page by a system of dots and lines on staff paper. It is meant to turn the player into a sort of human phonograph needle, as that is how music was “recorded” before electricity. However, unless there is separate instruction in the basics of music WITHOUT notation, often students don’t know there is anything else there to know or be aware of. Then they wonder why all they can do is play sheet music and have no ability to improvise, write music or play by ear. That can be very frustrating and it unfortunately happens to a lot of students who take traditional notation-based music lessons. This is all easy to remedy, starting with the notation-free book/DVD The Key of One, which gives you the basics for understanding music with no sheet music involved at all. If you are scratching your head because you thought that sheet music IS music and can’t imagine what else there is, then you’re a perfect candidate for learning The Key of One way! Isn’t it time you learned how to truly PLAY the piano and explore the music within you? Learn how chords really work and how shapes and patterns overlap so we can find the commonality everywhere and boil it down to the simplest formula. Plato knew the value of the “patterns in music” as a most important key to learning. There’s no better time or reason to open the door to music and enrich your life! Learn more HERE. While I imagine Darwin would have had a hard time finding music to listen to on the Galapagos Islands, you have access to more music than anytime ever in the entire history of man via the internet. If you are going to be a musician, you must start consciously seeking out music that is unfamiliar to you and give it focus and attention with your ears, mind and soul. Reach beyond your comfort zone and start to dig in to the wonderful world of music that’s just waiting for your discovery. Become an appreciator of as many styles and artists as you can and open yourself to music without prejudice as much as possible. Your future favorite bands lie in wait. Perhaps your future influences recorded their masterpiece forty years ago. There are songs out there that will come to define entire eras of your life and you haven’t even heard them yet! We must be autodidactic and educate ourselves by more than just “digging in the crates” as DJ’s would say. Point is, most musicians themselves are fanatics about music and remain true fans for life. Not everyone had cool parents with a great record collection to indoctrinate them. And even if you did, there is a world of new melodies, rhythms, harmonies, grooves and beats percolating in every corner of the globe right now. The sooner you become an explorer in the world of music, the sooner you’ll come to finding your own voice within. And that is perhaps the greatest exploration we undertake. As always, The Key of One is here to help move you forward on the path to exploring the music in you. What are you waiting for?